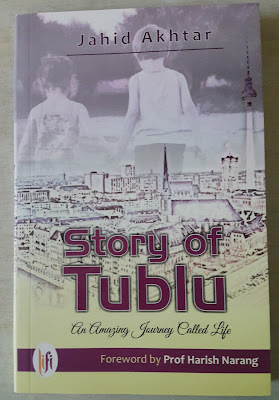 Story of Tublu is written by Jahid Akhtar and it is his first book. 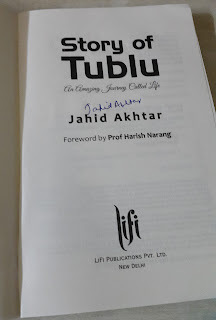 It is published by Lifi Publications and I have received this author signed copy from the author. 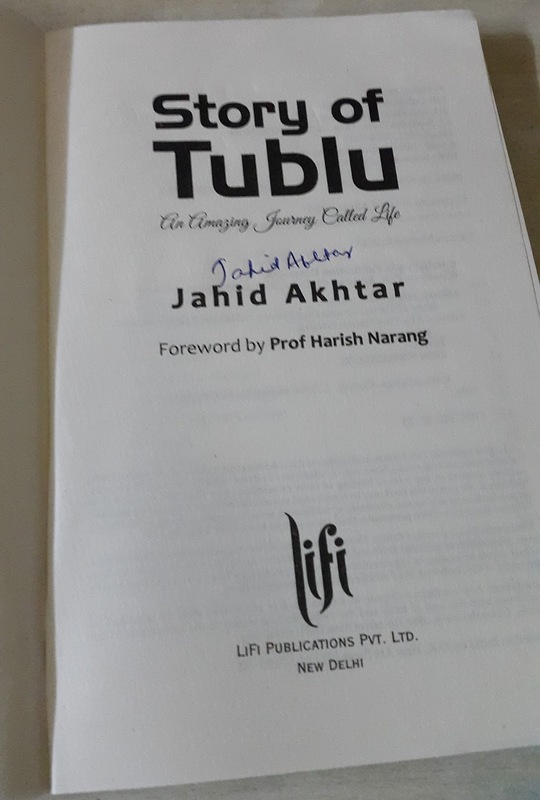 In his words this book is an amazing journey called life. Cover : Cover is simple and nice. A boy and a girl in first half of the cover page depicts a childhood love kind of thing which is true for the story and the city landscape in the lower half looks like Berlin where story ends. Thus cover shows the start and end and their life is inside the book. Full marks for the cover. Plot: Tanmay aka Tublu a three year old boy left his village with his father Bipin after the Brahmaputra river floods. They went to a faraway land to meet Mr Sharma for some job and shelter after learning about him from an acquaintance. Mr Sharma ran the biggest public school in that area and was a helpful person. He appointed Bipin as his driver and gave them place to live in their backyard. Here Tublu meet Sujata aka Maina Sharma who was Mr Sharma's daughter. With age his likeness for Maina grew strong but he never expressed his feelings. On Paplu's suggestion (son of Mr Sharma) Tublu was admitted in Mr Sharma's school for better future where he joined in Maina's class. Days passed and they came in college. They needed to be apart for their career choices and it was there in the college where Maina met Ikram her senior. They started loving each other. Tublu was shattered after hearing this news but he was happy for Maina's happiness. Story takes curious turns with Mr Sharma's sudden death, Maina's unwanted separation from Ikram and her forceful marriage with Suraj. 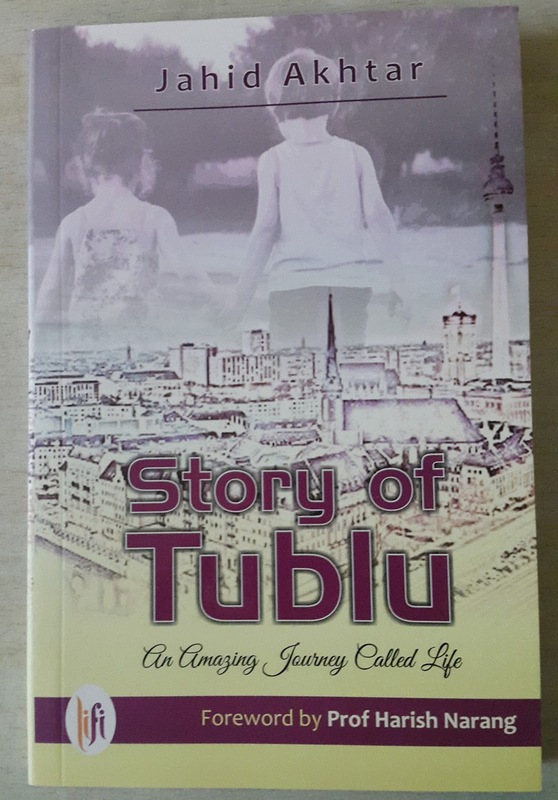 The journey of Tublu's life moves on in different directions with different people coming and going out from his life and after a rough phase comes a sweet ending. Highs : This is a simple story as if we are reading about some real happenings of some real characters. Characters are believable which we can easily see in real life. Lows : The story is clumsy. Author have jumped from one scene to another without finishing the previous act in the story. He looked lost in language also, it seems he was thinking in some other language and writing it down in English. Repeated use of words like 'earlier', apprehensive','mesmerizing', 'also','very', 'even', lately etcetera ruined reading experience. Some characters and scenes were inserted unnecessarily without there proper role in enhancing the story or in impacting the protagonist's life. I am sorry if I am too harsh but I have to be honest with my work. The story failed in leaving a positive impact on readers. Verdict : If you wish to read a simple, uninteresting life story than you can pick this book. A story which was going here and there without reaching anywhere. Rating : I would give it 1.5/5. Author wrote interesting memoirs in his blog Flashbacks. I have read many reviews of this book and it got the lowest rating here. This made me curious! A very detailed review. Thanks for sharing!